Most insurers offer a variety of discounts that can help you save money on your insurance premium every month, such as those for mature drivers, business and professional group discounts, and good student discounts. Among the most popular discounts is the multi-policy discount, which you can get simply by having multiple lines of insurance with the same provider. 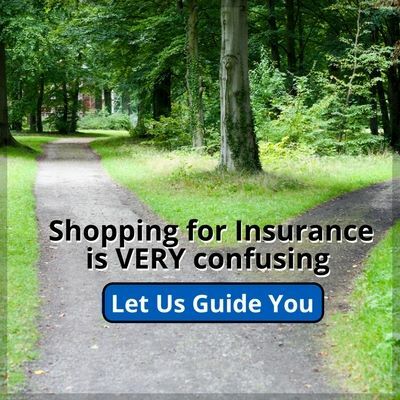 After all, you need insurance on your home, vehicle, boat, or motorcycle anyway, so why not get it all through one provider and save some money? What Types of Policies May Be Eligible for the Multi-Policy Discount? Oftentimes, whether you rent or own your home in Las Vegas, Nevada, you can score a significant discount on your auto insurance by combining it with your home insurance. Pairing your auto insurance with your renter’s insurance will earn you a modest discount; combining your auto insurance with a traditional homeowner’s insurance policy will have the most significant effect on your auto insurance’s premium. Your auto insurance agent can also let you know if a multi-policy discount is available for your boat, RV, motorcycle/ATV etc., also life insurance, commercial business or commercial auto policy, others. Just ask about anything you need insured and ask if there is any possible multi-policy discounts for combining them in the same household. Bundling all of your insurance policies with one insurance provider is generally the fastest and easiest way to cut down on what you pay for coverage. 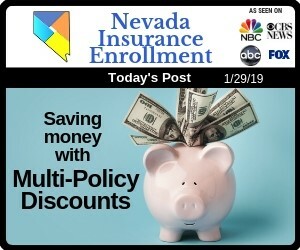 Sure, you could shop around for each individual policy and sign up with multiple insurers, but in most cases, it’s hard to beat the multi-policy discount. Additionally, it’s much easier to track your bills when you’re only worrying about a single monthly payment and due date rather than three or four payments and due dates. Ask your agent if you can combine the bills into 1 bill. 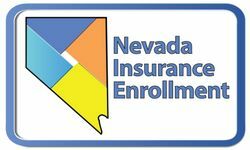 What happens if you have a multi-policy discount for, say, your auto insurance and your homeowner’s insurance in Nevada, but you move out of state? You will need to switch your homeowner’s insurance right away, but you may choose to wait to switch your auto insurance. As long as you stay with the same insurance carrier, you’ll still qualify for the multi-policy discount. Just let your new insurance agent know that you have your auto insurance through the same carrier, and you should be good to go. Additionally, if there are multiple policies in the same household, as long as they are through the same carrier, they should be eligible for the multi-policy discount. For example, say your adult child with their own auto insurance policy takes up residence in your spare bedroom or basement. If they use the same insurance carrier that you do for your homeowner’s insurance, you may be able to bundle the policies together to get the multi-policy discount. Talk to your insurance agent about your unique situation, and if you qualify for these extra savings. Multi-policy discounts allow you to cut down on what you’re paying for your auto insurance without sacrificing the quality of your coverage. Give us a call today to talk about your insurance policies, and we’ll help you determine what you could save by switching your policies to the same carrier.